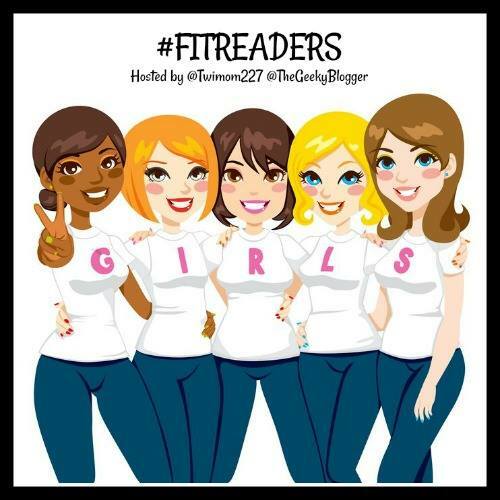 Greetings 2015 and welcome to #FitReaders!! 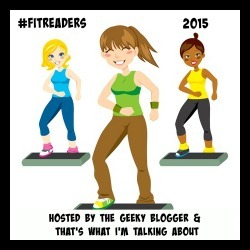 Felicia the Geeky Blogger and I are super excited to be co-hosting this fitness-oriented group for the upcoming year. During the months of January – March 2015, Felicia will host the official check-ins. You can catch this week’s post HERE. Please feel free to check-in with a comment here as well! One week under our belts during this new year and BRRRRR! it’s cold outside. I have been continuing to walk outside (long underwear and wool socks!) until today, when the “real feel” temperature didn’t rise about zero! I find that I get bored exercising indoors – even with my audiobooks to listen to. Now that the holidays are over and my family is in a routine, I’m eating better, and I’m happy to report that I’ve taken off the extra pounds I put on over the holidays. I’m planning just to stay the course over the next few weeks, however I am thinking of trying to add some flexibility or core strengthening activities in February. What do you suggest? Oh, and the GPS app I use to record my workouts, MapMyFitness, tells me my next goal is to “make friends.” Apparently users of the app who have friends have better success. Their email made me laugh because I already have such a great support network here! But… if you use MapMyFitness and want to “friend” me (I don’t know how this works), I’m under the name Jen Twimom. How did the holidays go for you? Did you make any New Year’s Resolutions? Are you trying any new foods and/or exercise programs? 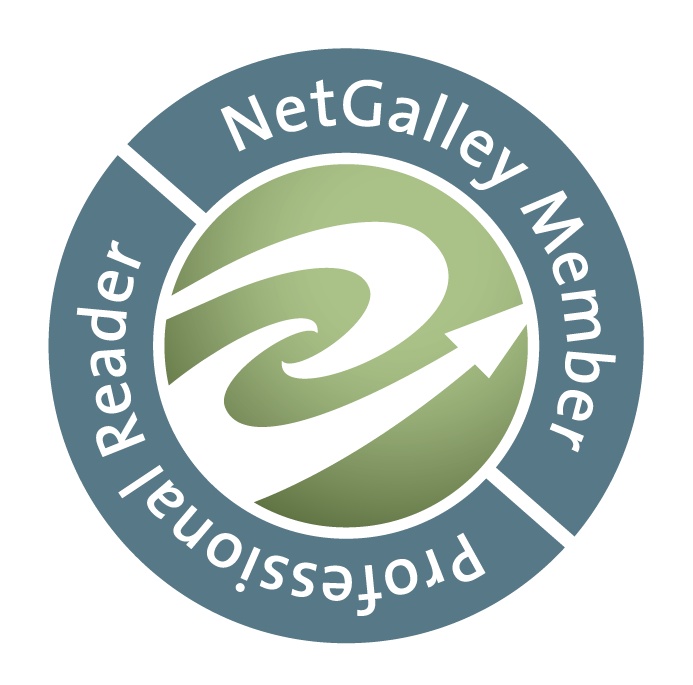 We are a group of readers, bloggers, authors, etc. who come together with the common goal of adding some movement into our lives, getting healthy, and staying fit. 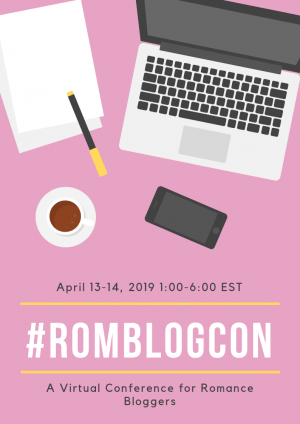 You do not have to have a blog to join in. 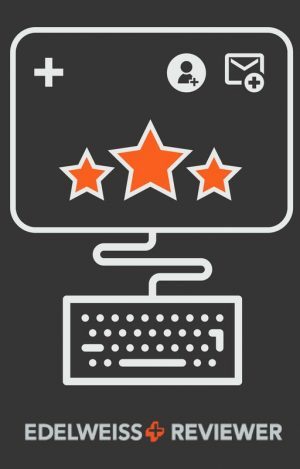 You can use the weekly check-in posts here or at The Geeky Blogger, a blog, Twitter, Facebook, or in a private, off-line journal to log your own journey. Just know that we are all in this together and here to provide support to one another. Look for the hashtag and join us! Click the image at the top of this post to sign up for January 2015. I used to be someone that was driven to work out. I never had a big weight problem for most of my life. However, during the early 2010’s, a number of things added up, and I found myself not exercising, eating a lot (and struggled with emotional eating), and in a big funk. Thanks to Felicia and #BookBlogWalkers, I started my journey back to a healthier lifestyle on January 6, 2014. I started with the goal of moving with purpose for 10 minutes each day and tracking my food intake. As the days progressed, I was able to walk longer and even start jogging. During 2014, I lost 25 pounds and reached my goal weight in September. Now I am working to keep the weight off and stay active. I find the best motivation for walking is a good audiobook and the support of my friends. Generally, I weigh-in once per week, on Mondays, and I’ll be writing weekly check in posts here on Fridays. Thanks for joining me in this journey! If you have any questions and don’t want to comment, please email me at twimom227 (at) gmail (dot) com. I’m also on LoseIt! with the user name Twimom227. My overall goals for 2015 are to keep up my current level of exercise, maintain my goal weight, and log my food intake every day for the year. I also want to add some races in once the weather warms up. As for January 2015, with the colder weather, my primary goal is to make sure I continue get out and move. My goal for January is to move with purpose for 30 minutes each day, taking off no more than one day per week. In addition, I will log my food/caloric intake each day using the LostIt! app. Great job keeping up with the exercising. I’ve be doing the same, though I’ve been a pansy and stayed inside. I’m back to counting my calories and keeping my steps up. I’ve also added a modified 30 day ab challenge to my routine. We will see how that works for me. No problems staying inside if it works for you!! I just know it doesn’t for me, so I’ll get out when I can. You’ll have to fill me in on the modified challenge goes and maybe I’ll try it for next month! Great job! I can’t exercise indoors either. I get so bored looking at the same things. I did try a dancing game on Kinect, but it about killed me. Last year I broke off bones in my heel and for a tendon. So I spent a lot of time sitting because I couldn’t walk. The pounds added on. I am back down to my original weight, but I am unhappy with that. I am hoping to get back to walking soon with some audio books that I switch to reading when not walking. Keep up the good work! I will cheer you on! Yea Shari – glad you are joining us! Audiobooks have saved my workouts!! We got an Xbox for Christmas and I saw that the Just Dance game has some workout material. I will have to try it out when I’m stuck inside. I bet BG (my 8 yo girl) will join me! I’ve done the Just Dance on our Wii before. They are fun and getting you moving. I rent them from Redbox. My oldest daughter (14) is a competitive dancer, so it’s fun when we play Just Dance and I beat her score, but I can only do a few songs where she can go on for hours. Just wish there was more variety of songs. Hey, stopping by and checking in is the first step!! Good job. Now… concentrate on some of the positive things you did rather than “horrible” ones! Try to do more positive things this coming week! It’s all part of the journey! I hear you. It’s hard to carve out time for ourselves when there is a high demand on our time. What if you make your goal to do 5 or 10 minutes each day? Jog or do jumprope in place? Thats what I was thinking. The last couple of mornings my boyfriend has been doing some crunchs and pushups when he wakes up. Maybe I’ll join him and do something of the sort when I have a super busy day. I used to have no problems being inside, but now… *shrugs* But we all do what we can, and that’s what is important! Awesome job this week! The holidays were hard for me to get in workouts, but I tried my best. A least I got a good run in this week. That is a great start! Feel good about that run! I just signed up! I love this idea. I said over on the Geeky Blogger initial post, but I use a treadmill desk. I run a mile or two most mornings, then I stand and walk while writing and working the Evil Day Job (which is made considerably less evil by allowing me the luxury of working from home). I’ve already committed (to the Writers Who Walk group) to walk 1,000 miles this year. I’m also still going for that elusive goal weight. As of today, I only need to lose just over 6 pounds to get inside the top end of my ideal BMI. But, damn, those last 5-6 pounds are SO stubborn! YEA!! Thanks for joining us Jeffe – You can walk with me and Liza and others when in Daytona! (After all those drinks!). I plateaued at that same place last summer for several months. I found that adding some interval jogging in small amounts helped up my calories burned and got me over the hump. I hope you are feeling better and can still go to the event. Let me know how it goes!! MapMyFitness looks like a really good app. I would love to know how it works exactly. Yes, warm climate is nice – but how is working out during the summer?! MapMyFitness is worth the free download (I don’t pay any extra) and use it as a GPS to track my workout routes and times. I say try it out! Wowee you had a great week in spite of that freezing weather. You have no idea how motivating it is that others get out there and ‘do it’. Yes we have our very supportive group and it works! Thanks Kathryn! I just want to give back so much to this group because it has done so much for me! I’m also very good at cheering on my friends!! Thanks Julie – it sounds like you are hitting all the right things. Keep it up! Way to not let the weather discourage your exercise. I try to walk outside in the winter too. If it is too snowy or slippery, I stay inside to protect the back. If it’s too cold, I’ll stay in. I have been known to walk in my big snow boots, if the roads are a little icy! You did really good! I live in California and I won’t go out when the weather is below 60. But now I feel like a wimp since you go out in the snow!! That is great! I did good this week but I know I can push myself harder. Have a great weekend!! It’s all relative, right? But I would rather get out in the cold than walk on a treadmill. So I go and do! Plus, I get to listen to my audiobooks!! You did awesome! I let the cold weather keep me indoors. A busy week at work didn’t help either. Something is always getting in my way; most of the time it’s me. I’m a gym rat. I don’t mind being indoors. I hate winter. Cold weather makes my bones hurt. Haha! I need to be in a temperature controlled environment. For me it was just too cold to be outside for longer than it takes to walk to my car. Thanks Marq! I used to be a big gym rat, not sure how that changed, but I just have a really hard time inside now. I don’t like cold weather at all, but it’s still better than inside for me. I agree that indoor workouts can get boring, but I guess it’s better than freezing my patoots off outside, lol. Great work! Haha! I do wear long underwear and wool socks! I didn’t get in my yoga/stretching this week. For the first time in my life I’m actually enjoying and feeling better when I work out so I have to make sure I take the time for that relaxation and flexibility too. I hear you – I am feeling so much better than I was a year ago. The fresh air energizes me, even when cold! You had a good week! I like your January goals.I need to get back to logging my food. Thanks Mary. Logging is very important to me. I may be 1,000+ calories over for the day, but it holds me accountable and makes a big difference for me.